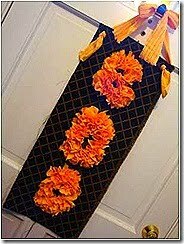 And you know what that means... Time for another Feature Friday of some of the favorite things I've seen this week around blogland. 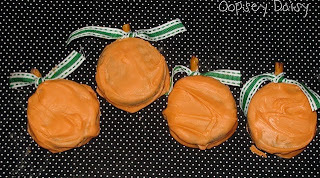 Check out these adorable Oreo Pumpkins from Alison @ Oopsey Daisy. Yum! Here is another yummy treat. 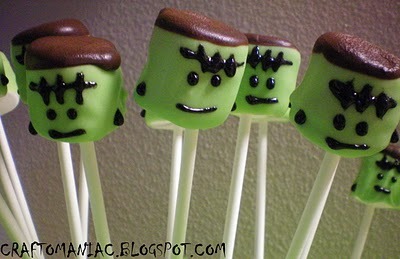 Jenn @ Craft-o-Maniac created cute Frankensteins using marshmallows. Adorable! 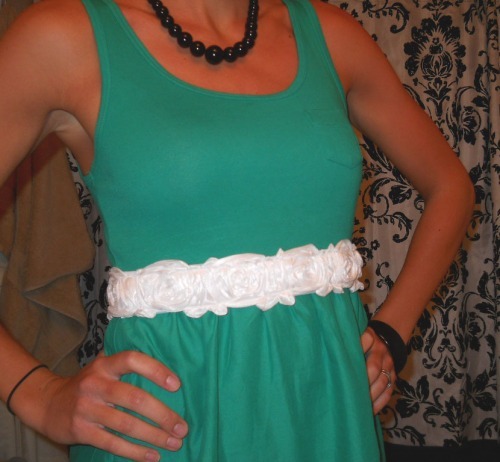 How fabulous is this rosette belt?! We've all seen the necklaces, wreaths, brooches and such but this belt from 3125 is just the cutest! Krista @ While he was Napping made these super cute Halloween tiles. I love this banner from Laurie @ Scene of the Grime. So creative just by using leftover materials. It is suppose to warm up a little here but it still suppose to be a beautiful weekend. Travis has a 4 day weekend (gotta love the Army and their 4 day weekends for random holidays). Not sure what we'll get into but it will be nice to relax. Thanks Alison- what great suprise to wake up to. Yay!! Thank you my friend. So much fun stuff going around in blog land!! Thanks for the feature! I'm so flattered! I love your blog. I'll definitely be back! Following now too. How cute. 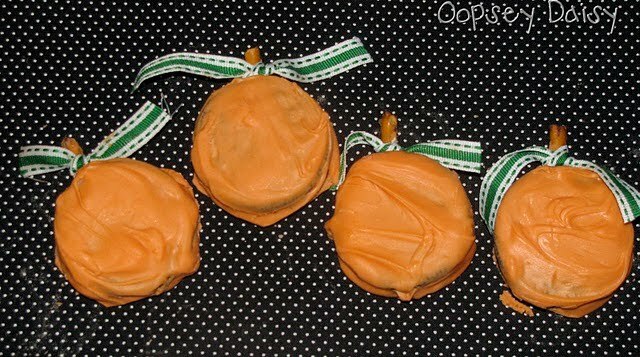 I'm throwing a Halloween party and those are really cute treats!! Awwww Thank you oh so very much for the award! I'm totally honored!! It's so special and makes me smile! I hope your day is the greatest! Thanks for featuring my rosette belt...I wanted to tell you sooner but I kept forgetting! Fun blog!